Girl-next-door with swag. Nerd-cool. Guitar prodigy with heart. Debut EP ‘Plan A’, Released 2016. “Best Vocalist” Winner at Emergenza Band Competition Grand Finals, 2014. Top-10 Finalist in the Australian Songwriting Contest, 2014. Blending whip-fast verbal gymnastics with stuck-in-your-head pop riffs, Sabrina Soares’ debut 2016 EP “Plan A” is a hooky, hip-swivelling nod to jazz, country, pop and the funky Brazilian rhythms that color her unique heritage. 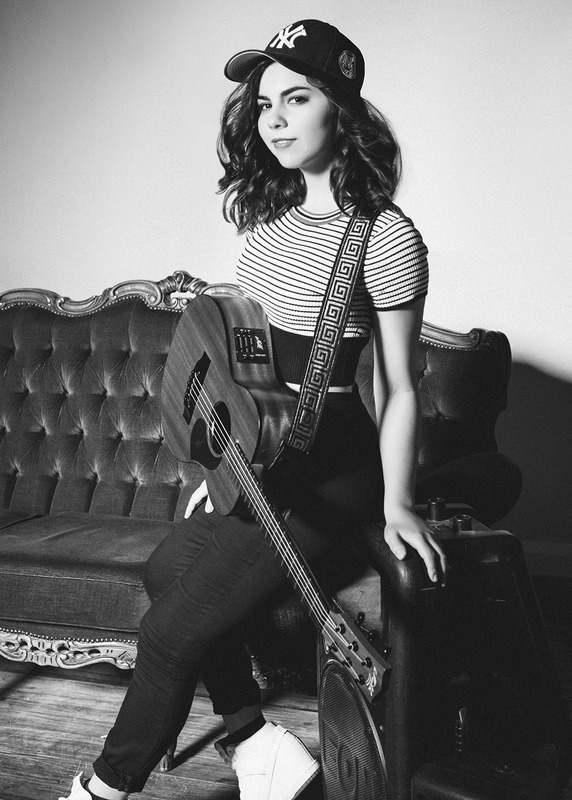 Mixing sincere and relatable diary-entry style lyrics with exceptional self-taught guitar playing, Sabrina graduated from high school and immediately became a dedicated full-time musician; abandoning all considerations of a university education in order to focus and be an active participant in the Sydney music scene. Now a relative new-comer to Canada, Sabrina has moved to Toronto for the next stage of her career.